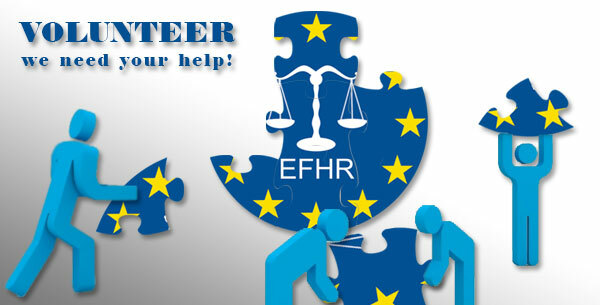 If you find yourself an active person, you are over 18 and would like to take part in training courses for young leaders, apply for a traineeship at EFHR. You will have the possibility of taking part in free, 7 day long training courses which will take place this year in Poland at the end of May. Young leaders from countries like France, Greece, Poland, Turkey and Italy will also participate in the courses. The European Foundation of Human Rights (EFHR) is currently the most active non-governmental organization in Lithuania working within the field of protecting and promoting human rights, including minority rights. Since our establishment we have had the pleasure of cooperating with many volunteers and trainees, who have been contributing to carrying out our goals and projects (in 2014 we had 110 volunteers and trainees). We carry out many projects, including training courses and workshops in which you can participate as well. More info about our trainees can be found here. We are currently looking for volunteers/trainees who share the values of EFHR and would like to be a part of our team. At the end of our traineeships we issue confirmation of traineeship and references. We guarantee very creative, interesting and rewarding activities and the possibility to work in an international environment. We guarantee constant personal development thanks to participation in national and international training courses, conferences, internships and workshops. If you are interested in taking part in the training courses or a traineeship with us, send your CV to the e-mail address: praktyki@efhr.eu.